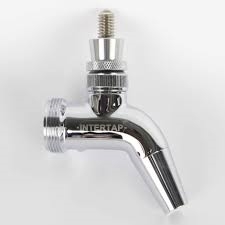 The Intertap Chrome Plated model is an economical choice with a smooth bore to aid a completely laminar flow and foam free dispensing of beer. Interchangable threaded spout design allows you to use different spouts on the same tap. Comes with standard spout. Stout Spout and Growler Filler Spout can be purchased separately. Does not come with shank or handle. The Intertap Chrome Plated model is an economical choice with a smooth bore to aid a completely laminar flow and foam free dispensing of beer. 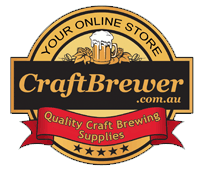 Intertap™ uses a threaded spout that can easily be removed and replaced with a range of other spouts including: Stout Spout www.craftbrewer.com.au/shop/details.asp and Growler Filler Spout www.craftbrewer.com.au/shop/details.asp .